What started as a search for historical tidbits for a "Jeopardy-style game" about the role of women in Mayo Clinic's history turned into something much more once Virginia Wright-Peterson, Ph.D., began looking through Mayo's archives. "I started reading some of the stories, and I couldn't believe it that as a local person and someone who had worked at Mayo for all of the years that I had, that I didn't know more about the women," she tells the Rochester Post-Bulletin. So Wright-Peterson, a former Mayo administrator who now teaches writing at the University of Minnesota-Rochester, found herself ditching her "game" in favor of a book she believed needed to be written. She wanted to introduce others to these women who, the paper says, not only "bumped up against" but "broke through the glass ceiling of the times" to help Mayo Clinic become what it is today. "In a lot of ways, this is a writer's dream," Wright-Peterson tells the P-B. 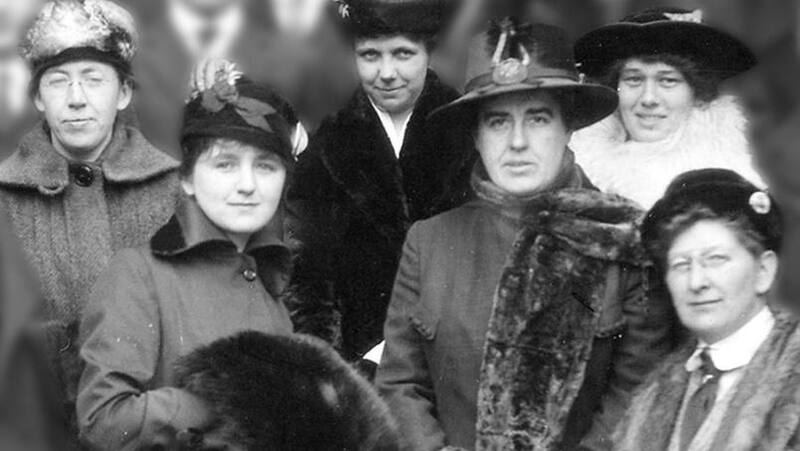 That dream resulted in "Women of Mayo Clinic: The Founding Generation," which shines a light on "about 40" women who played a "critical role" in shaping the early history of Mayo Clinic. Specifically, the book highlights the influences of Gertrude Booker Granger, M.D., who Mayo Clinic Heritage Hall Director Matt Dacy tells us was the first female physician to join Mayo Clinic. "She received her M.D. from the University of Minnesota and joined Mayo in January 1898," Dacy says. "She collaborated with Dr. Charles Mayo in care of the eyes, ears, nose and throat, and later took charge of providing refractions of the eye. In 1914, she became Public Health Officer of Rochester." Then there's Dr. Harriet Preston, who worked with the Mayo family and was initially denied membership into the Minnesota's Medical Society because she was a woman, much to the chagrin of the person who hired her. Dr. William Worrall Mayo supported her membership in the Minnesota Medical Society in 1870, stating that Dr. Preston was a "thoroughly competent and qualified practitioner," and he had "the highest opinion of her ability." In addition to Drs. Granger and Preston, Wright-Peterson's book also digs deeper into the story of Maud Mellish Wilson, "a clinic librarian and editor whose hawkish editor's eye improved the quality of physicians' papers and helped shape and spread the clinic's reputation." It also highlights Eleanora Fry, "an artist whose detailed drawings demonstrated many of the then-state-of-the-art procedures that Mayo was pioneering." You can get more of the book's flavor, along with the book itself, during a launch party on Wednesday, March 2, in Phillips Hall, Siebens Building, in Rochester. The event, scheduled to coincide with the kickoff of Women's History Month, will feature a "one-woman show" of stories from the book performed by Megan Cole, which begins at 6:30 p.m. If you're unable to attend the March 2 event, don't worry. You can also check out a free exhibit "highlighting the life and times of a dozen Mayo women" in Mayo's Hage Atrium through March 17. You can check us out any time (day or night) right her on the In the Loop blog, where you can share your comments and find tools to share this story with others.